Silicon wafers were surface modified by the treatment of argon-oxygen (Ar-O2) and argon-nitrogen (Ar-N2) RF-frequency plasma, and characterized their changes in surface property using contact angle measurement and Fourier transform infrared spectroscopy (FTIR). The treatment of silicon wafers by Ar-O2 and Ar-N2 resulted in increased hydrophilicity for both treatment regimes. Silicon treated Ar-N2 plasma sample has the greater surface free energy compared to Silicon treated Ar-O2 plasma and the untreated sample. Subsequent Fourier-transform infrared spectroscopy results confirmed the presence of characteristic Si-O and Si-N bonds; however, due to the adsorbence of water, many of these peaks were not readily apparent. Surface morphological studies may be performed in order to view further effects of the plasma treatment. V. Mejarito, A. Z. Cruz, M. Vasquez, and A. Salvador. 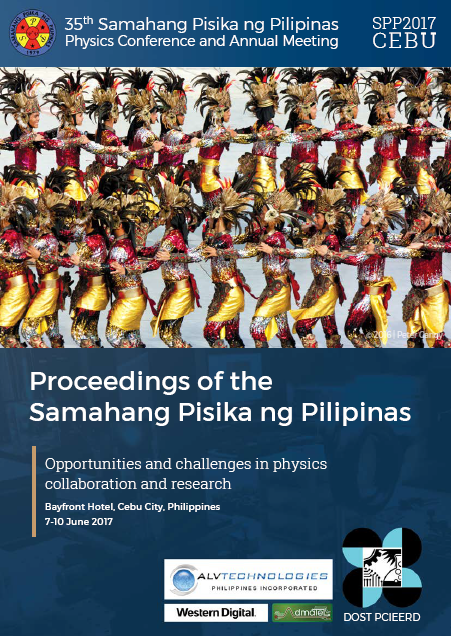 Surface modification of (100) p-type silicon through Ar-O2 and Ar-N2 plasma treatment, Proceedings of the Samahang Pisika ng Pilipinas 35, SPP-2017-PA-05 (2017). URL: https://paperview.spp-online.org/proceedings/article/view/148.